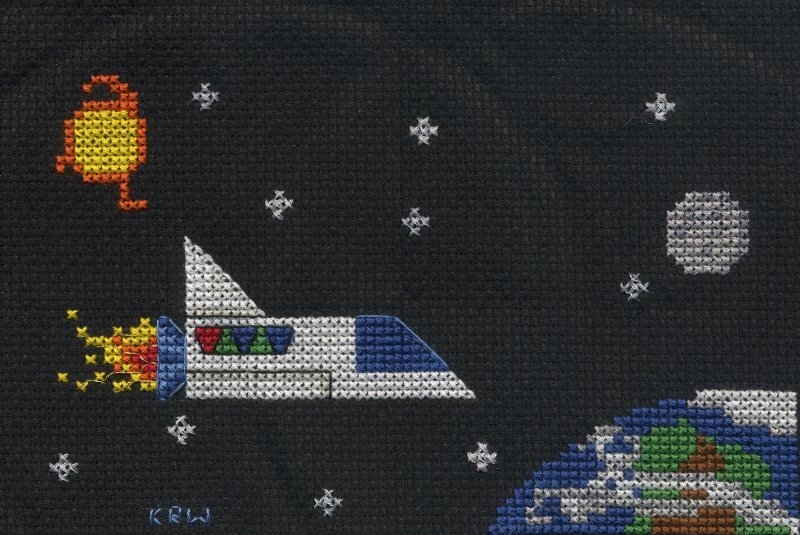 One of Kristina's hobbies is to cross-stitch. Stitching the pictures one block at a time is very similar to creating sprites for video games. So I had the idea that maybe she could cross-stitch some scenes reminiscent to my Tom Bombem games (which I tend to doodle endlessly). 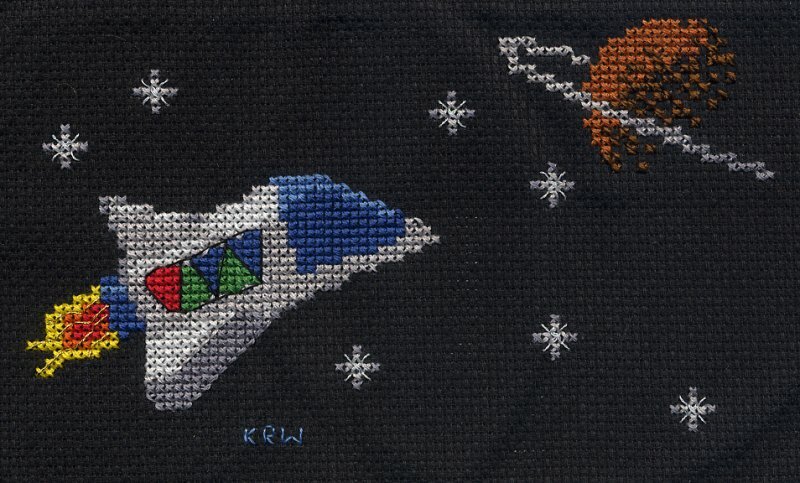 I was all set to create my own cross-stitch pattern generator, but luckily I checked freshmeat.net first and found cross-stitch.py which did a great job. We did have to eyeball the colors a bit, as the thread color-matchers that come with such programs need a little work. But below you can find the results. This one attempted a more 3-d angle for the ship.